The brutal death of the anti-Apartheid activist and Black Consciousness leader in September 1977. Biko died from injuries sustained during 25 days in police custody. On September 12th 1977 the anti-Apartheid activist and leader of the Black Consciousness Movement in South Africa died from injuries sustained while in police custody. 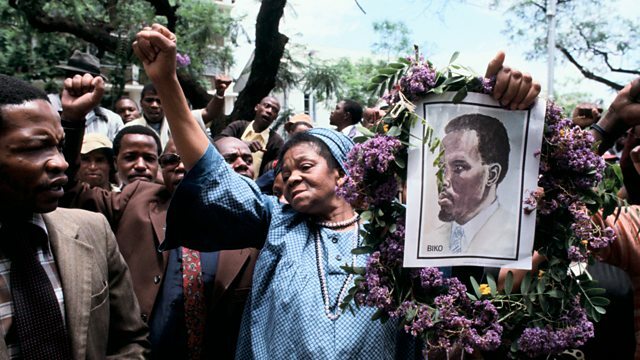 The South African police claimed that Steve Biko had gone on hunger strike and had starved himself to death. Farhana Haider has been speaking to Peter Jones, a fellow anti-Apartheid activist, who was arrested alongside Biko a few weeks before his brutal death.